This is a short clip from Chuck van Zyl's radio concert. 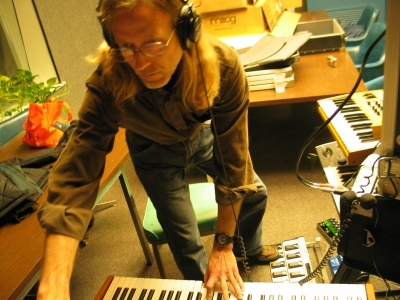 American synthesist Chuck van Zyl has played on Galactic Travels many times before but as half of The Ministry of Inside Things with Art Cohen. 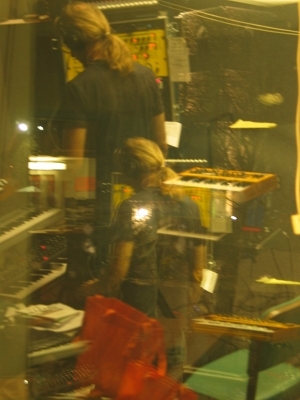 For show #713 on December 4, 2010, Chuck played a live radio concert solo. Chuck is best known as the host of Star's End and as the coordinator of The Gatherings concert series. 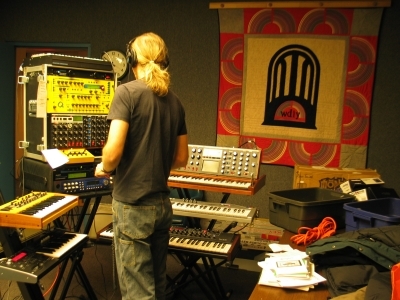 He has also been making his own unique style of electronic music since 1985. Inspired by the electronic spacemusic of the mid '70s, it was the mentoring of Nightcrawlers founder Peter Gulch that empowered Chuck to start producing his own music. This lead to the release of a series of cassettes which formed the basis of albums released by Centaur Records in the mid 1990s. 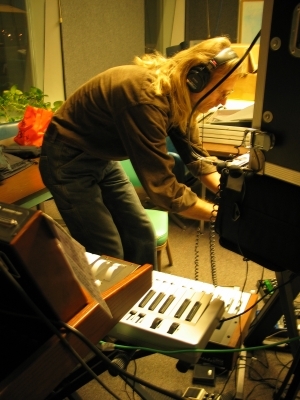 Following his radio concert on Galactic Travels, Chuck went on to do four more concerts in three days at other radio stations and concert series. His weekend concert marathon culminated with a performance at the Soundscapes Concert Series.